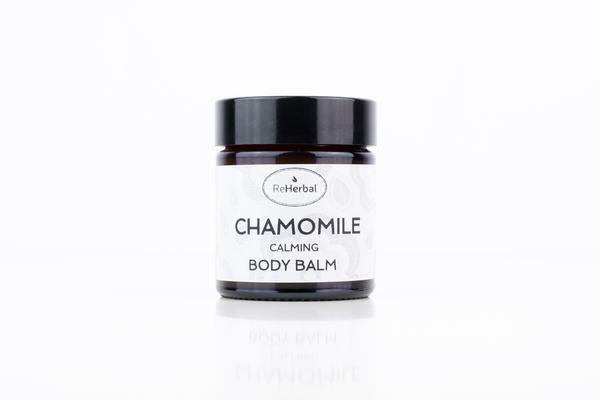 Our Chamomile Calming Body Balm is a calming and harmonising body balm made with coconut oil and chamomile extract. 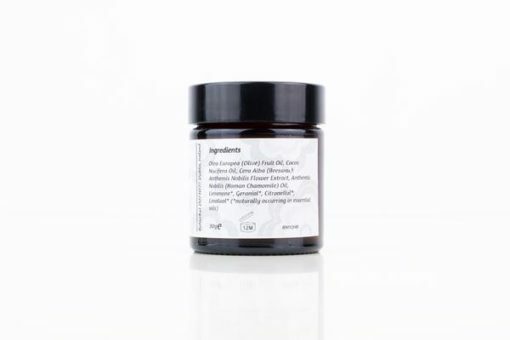 Suitable for a sensitive and dry skin. 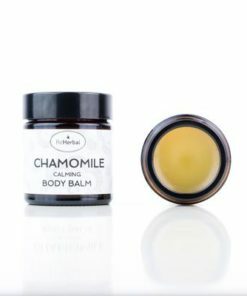 Chamomile Calming Body Balm for dry and sensitive skin is handmade with natural ingredients only. 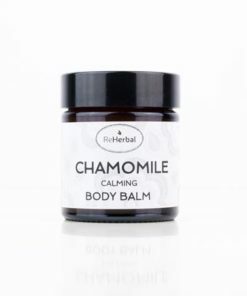 Chamomile is one of the most popular herbs used in a variety of natural cosmetic products. 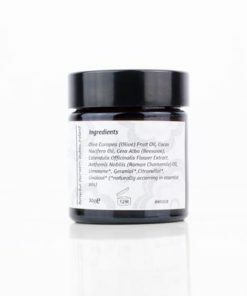 Its volatile oils are used in creams and balms and it is often combined with other herbs to create aromatic treats for your skin. The essential oil is acquired by distillation from the dried flowers. Chamomile contains azulene, a powerful anti-inflammatory component, which gives the oil a deep blue colour. 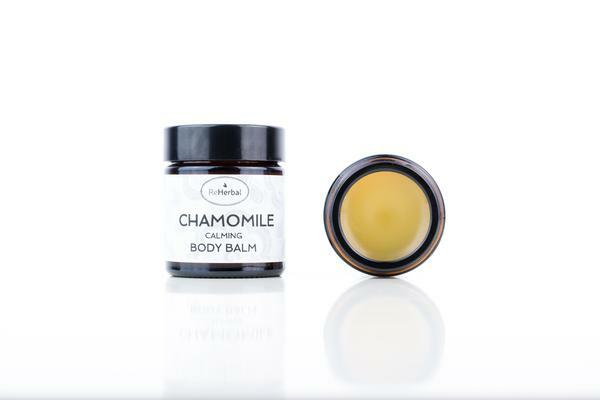 Our Chamomile Calming Body Balm soothes, tones and calms the skin. It has antibacterial properties and its used to treat irritated and inflamed skin. Its floral scent relaxes the mind. Babies with their sensitive skin are one of our happiest customers. They often suffer from nappy rash, skin irritation or eczema. Don’t let them suffer longer than necessary. 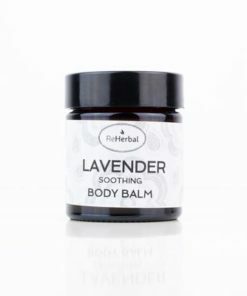 Use our balm to sooth their irritated skin and let them be happy with healthier skin. Apply balm on the affected area and gently rub it in. The texture of the balm is soft and suitable for everyday use. Spoil yourself with our natural Chamomile Calming Body Balm, one of the herbal skincare treats made in Ireland!